STRANGE OBJECT FOUND IN BACKGROUND OF PHOTO. Description: A friend of mine took this picture on his cell phone while driving East on Robinson Street, in front of the Airport/YMCA in Norman, OK. Note: The photo was taken from inside of a vehicle. Chances are that the objects (ring and lights) are a reflection of something on the windows of the vehicle. 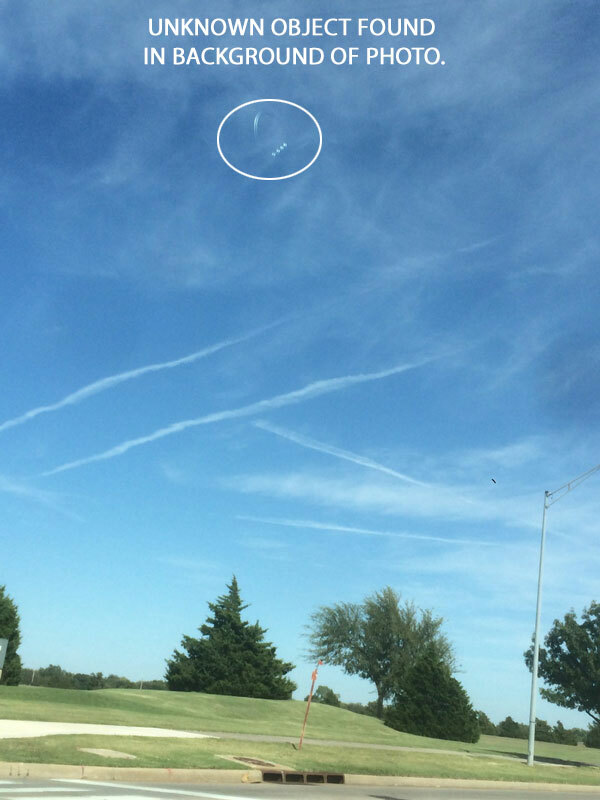 This entry was posted in Discovered anomaly in photo, Photos, Possible reflection, Strange Shaped, UFO Sightings 2016, UFO Sightings Oklahoma. Bookmark the permalink. 2 Responses to Row of Lights & Ring Objects Found in Photo. It looks like gauges below/behind the steering wheel to me. Yeah, that could be what was reflected.